By the time we get to Election Day, it’s too late to change any unfair and burdensome voting rules, but by planning ahead, you can play an important role to ensure the rules are clearly explained and accurately applied in your local community. Fair Elections Center is encouraging individuals, especially those who are tech-savvy and bilingual, to support their community by going beyond voting and serving as poll workers. Election rules are more complicated than ever, technology has changed the way we vote, and our nation is more diverse. No one who is eligible to vote should be turned away from the polls. Voters shouldn’t have to leave without voting because of long, slow-moving lines or confusing rules. Well-trained poll workers from different backgrounds can help avoid these issues. Election officials are desperate for good poll workers. Workelections.com addresses this struggle by centralizing information for potential poll workers who may not know where or how to apply. 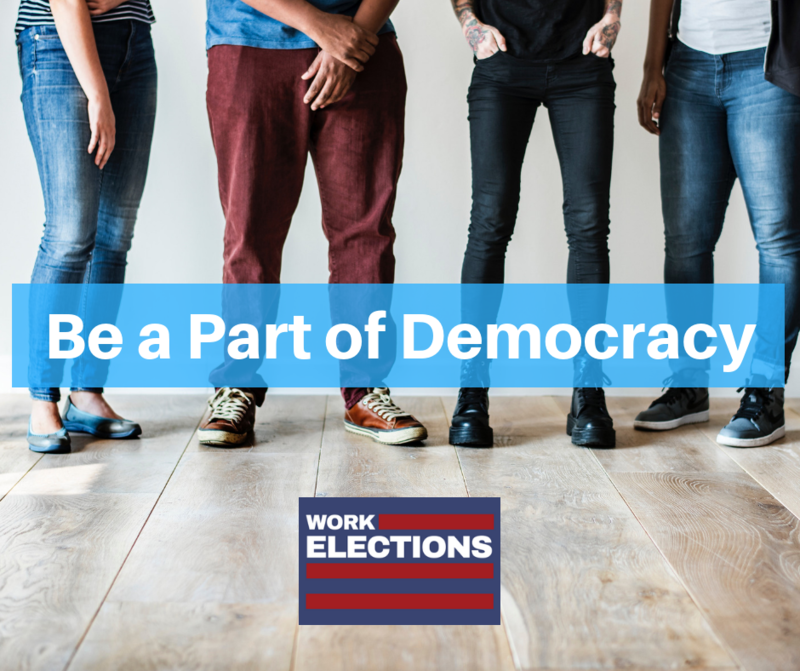 Workelections.com has the most up-to-date data on poll working and simplifies the process by matching volunteers with opportunities and information. It’s a one-stop-shop you can use to apply to take part in this important service opportunity. The website’s home page contains a simple search bar where users can look up local poll worker information and applications by state, city, county, zip code, or address. Each jurisdiction’s landing page contains volunteer requirements and directs users to an application. Workelections.com is available for Arizona, California, Florida, Nevada, New Mexico, Ohio, North Carolina, and Virginia. For other states, general information is available or individuals from other states can contact their local election office and they can assist in the application process. Being a poll worker is an opportunity to develop work skills, get a better grasp on how elections work, and become civically engaged. Be a part of the new generation of poll workers and a part of democracy this Election Day. Many local jurisdictions are still looking for poll workers to volunteer in the November 6th election, so sign up today!